Healthcare costs for large companies rose 3.2% in 2015, research by Aon Hewitt has found. It is the smallest increase since 1996, when Aon began tracking the data. However, the company predicts a 4.1% increase in 2016. David McCann discusses the findings. 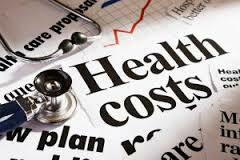 To find out more on this CFO article, click: Hike in Healthcare Costs Sinks to 20-Year Low.